Happy birthday to our Little Heroes! 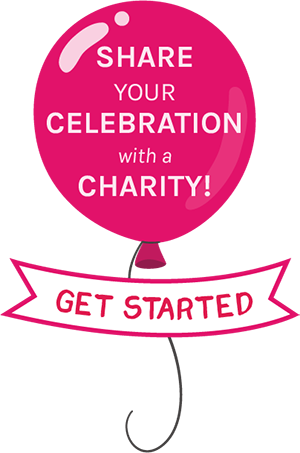 By sharing your birthdays with worthy causes you have not only helped others in need but also saved for meaningful presents that will be played with. You are never too young to start to make a difference! Oliver, Anya, Jasper, James, Gavin, Kevin, Natalia, Katherine, Thea, Elly, Dhilan, Cameron, Kasey and Anthony chose to support Plastic Free Seas, Box of Hope, International Care Ministries (ICM) , Hong Kong Dog Rescue (HKDR) , OneSky for all children, Food Angel HKU , Bring Me A Book Hong Kong , Kids4Kids , 母親的抉擇 Mother’s Choice , Hong Kong Dolphin Conservation Society and Angkor Hospital for Children. Arjan, Dimitri, Scarlett, Vincent, Bella, Craig, Jocelyn, Aidan, Evan, Keiran, Theodore, Joshua, Louise, Elise, Summer, Raghav and Atticus donted to Plastic Free Seas, Box of Hope, WWF Hong Kong, Hong Kong Dog Rescue (HKDR), @惜食堂 Food Angel, 母親的抉擇 Mother’s Choice, Christian Action 基督教勵行會, The Child Development Centre, Children’s Medical Foundation and 香港海豚保育學會 Hong Kong Dolphin Conservation Society. Kyle, Oscar, Orla, Tom, Alisha, Rory, Willa, Daphne, Emma, Fraser, Maria, Laura, Minkyu, Daye, Dexter, Maeli and Charlie chose Food Angel HKU , Kirsten’s Zoo Charity , PathFinders Hong Kong, 母親的抉擇 Mother’s Choice, Plastic Free Seas, 健康空氣行動 Clean Air Network, The Child Development Centre, Box of Hope and OneSky Hong Kong. Andrea, Teagan, Ingrid, Cherie, Rem, Luca, Lukas, Samantha and Ethan supported Bring Me A Book Hong Kong, Christian Action 基督教勵行會, 成長希望基金會 Changing Young Lives Foundation , 香港海豚保育學會 Hong Kong Dolphin Conservation Society , PathFinders Hong Kong , International Care Ministries (ICM) and WWF Hong Kong.